Poor circulation is a circulatory system problem that emerges when there is inadequate blood flow to the hands, legs, heart and other parts of the body. The blood vessels become blocked due to the deposition and hardening of a fatty substance called plaque, thus contracting the walls of the arteries and veins. Eventually, a section of plaque can rupture, causing a blood clot to form at the site. This build-up of plaque or blood clots limits the flow of oxygen-rich blood to your body as they severely block the arteries. As a result, the normal flow of blood through the vessels is interrupted, resulting in poor circulation. A variety of conditions can be brought on by poor circulation. These may include high blood pressure, hypertension, stroke, varicose veins, peripheral artery disease, heart disease, kidney damage, etc. The peripheral artery disease (P.A.D.) causes the arteries and veins to contract which slows down or sometimes even ceases the blood flow. 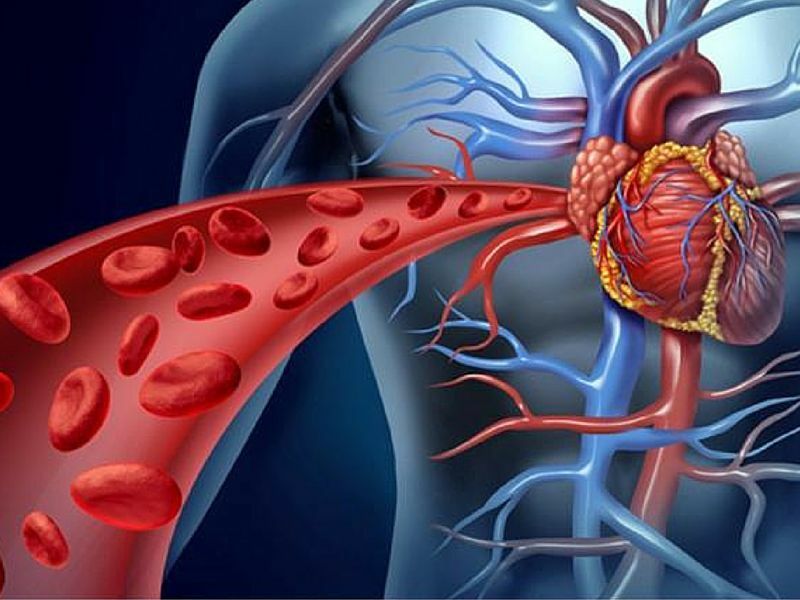 This happen primarily due to the accumulation of large amounts of fats in the blood vessels which stops the normal blood flow through the heart, arms, legs and brain. Leg pain that does not go away when you stop exercising- If you have leg pain when you walk or climb stairs, talk with your doctor. Sometimes the old people assume that leg pain is just a symptom of aging. However, the reason for the pain could be P.A.D. You should consult your doctor if you’re feeling pain in your legs and discuss whether you should be tested for P.A.D. Foot or toe wounds that don’t heal or heal very slowly. Gangrene – If severe enough, blocked blood flow can cause gangrene (tissue death). In very serious cases, this can lead to leg amputation. Poor nail growth on the toes or hair growth on the legs. Erectile dysfunction, especially in men with diabetes. Aged 50 or more and have a habit of smoking or diabetes. Younger than 50 and have diabetes. Smoking: Smoking is the main cause for P.A.D and your risk escalates if you have a habit of smoking. Quitting smoking slows the progress of P.A.D. People who have diabetes or smoke are at the highest risk for P.A.D. complications. Old Age: As you grow older, plaque builds up in your arteries. Older age in addition to other risk factors, such as smoking or diabetes, puts you at higher risk for P.A.D. P.A.D. increases your risk of heart attack, stroke, coronary heart disease and mini-stroke. Although P.A.D. is serious, it’s treatable. If you are suffering from it, you should confer with your doctor regularly. P.A.D treatments include lifestyle changes, medicines, and surgery or procedures. Quit smoking. Talk with your doctor about programs and products that can help you quit smoking. If you’re obese or overweight, make a reasonable weight-loss plan from your doctor. The lifestyle changes mentioned above can reduce your risk of developing P.A.D. The overall objective of treating P.A.D. includes decreasing the risk of heart attack and stroke, enhancing mobility and overall quality of life and impeding complications. The treatment may slow or stop the progression of the disease and reduce the risk of complications. Without treatment, P.A.D. may progress, resulting in serious tissue damage in the form of sores or gangrene due to inadequate blood flow. In extreme cases of P.A.D, also known as critical limb ischemia (CLI), amputation of part of the leg or foot may be necessary.